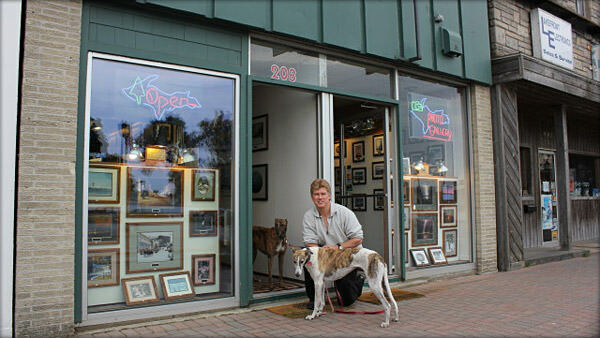 David Black pictured in front of his store — with his adopted retired racetrack Greyhounds, CC & DD. David has lived in Michigan for his entire life combining a love of nature, astronomy and history with a passion for photography. After graduating from Henry Ford Community College in 1985, he attended Eastern Michigan University while working full time as a territorial sales manager until 1991. He then broke the traditional 9–5 routine to pursue his dream and begin a career based on photography. He opened his own store back in 1994 where he still operates from today. 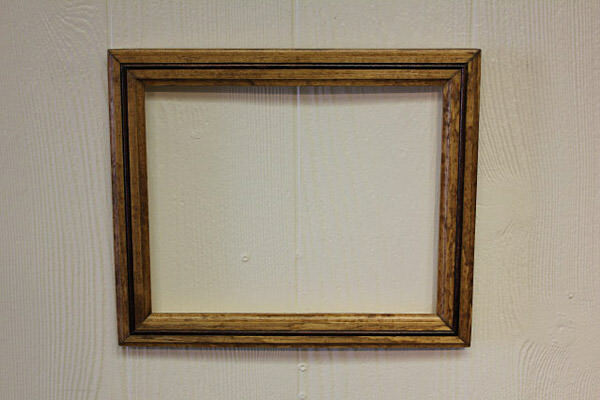 He also takes his work “on the road” by participating in numerous art and craft shows. Over the years of customer purchasing, his work is displayed throughout numerous countries all over the world, and one photo which was even flown on the space shuttle in 1997. Along with developing his own prints in his darkroom, he also makes his own wood frames to compliment his photography. 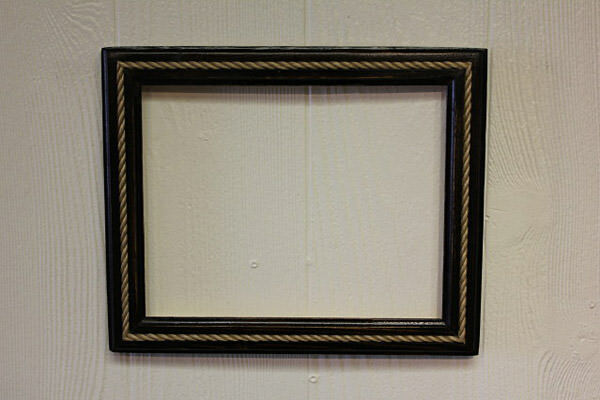 All his frames are made from white pine and each frame has special handcrafted workmanship including shaped edges, splined corners for extra reinforcement, and a unique hand laid wood or rope insert mounted in the center of each frame. They're proudly made in St. Ignace, MI. U.S.A.
No matter where he goes or what he does, his camera bag always comes along. Extended hikes in bush and wilderness along with the many thousands of miles traveled throughout Michigan's two peninsulas, and numerous “all nighters” piercing through his telescope have provided this opportunity to experience and photograph Michigan's natural beauty and rich human history. After living on the island “Grosse Ile”, south of Detroit for his first 28 years of life, he now resides in Michigan's Upper Peninsula, City of St. Ignace.